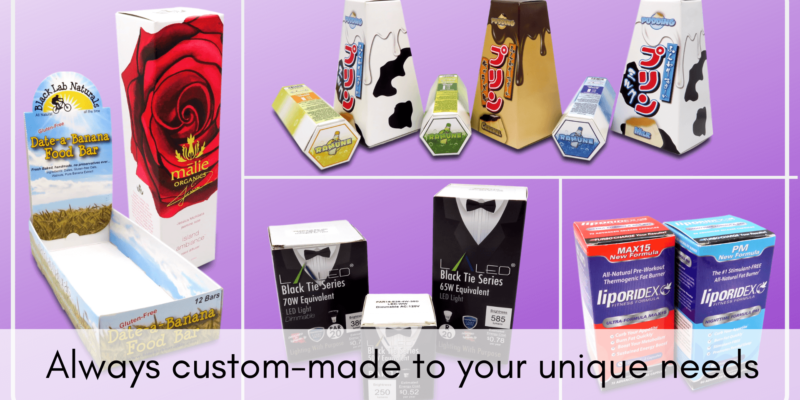 Using custom packaging offers superior protection for your products and unmistakable professionalism that generic boxes just can’t match. Simply provide us with the dimensions of your product and we’ll give you packaging that plays nice with it, every time. We offer box shapes and styles ranging from basic to showstopping, but did you know you’re not limited to the ones we carry? If you find a photo of a unique box type outside of our website, just send it to us at sales@businessimageprint.com and we’ll see what we can do to replicate the shape!